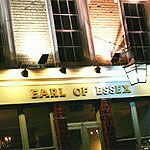 Do you work at Earl of Essex? What did you think of Earl of Essex? Best pub I have been to in London while on holiday. Great atmosphere, delicious food and excellent choice of beers which Jay the manager was very knowledgeable about and helped us chose some amazing beers. Staff all very friendly would recommend this pub to everyone especially if you want a good time in London drinking different beers in great surroundings. The pub has been re kitted out as of July 2012. It now offers 20 beers on draught and 40+ in bottles. There will even be it's own brewery very soon! A great place to come for a bite to eat and to discover brand new beers you didn't even know existed! A really nice friendly local pub, with a gastropub feel, smart and tasteful inside without being stuffy. And with a surprisingly large outside walled space to the rear which will be great in Summer. It is a very good new addition to Angel. I am an infrequent reviewer however I feel obliged to write something due to the good times I have had at the Earl since it has reopened! The quality of the food has warranted a weekly visit to devour one of the great Sunday pub roasts. Not only are the Sunday roasts a personal favourite, the wood fired pizza uses a unique base and great variety of toppings that you would find in a gourmet joint. A great feature for Summer is the beer garden out the back which is a rarity for Islington pubs and a great attraction for me as I enjoy a pint in the sun. To add to the atmosphere there are usually a few dogs floating around which also gives the place a relaxed and homely feel. Being a lager man, I had never tried the Moretti on tap however is a great drop and I am told from my better half that the wine also does the job. Staff are always friendly and there are usually good clientele in the mixer. Islington isn't short of quality pubs but with the refurbishment of the Earl of Essex, this backstreet venue is set to become a destination brewpub. The bar and kitchen is currently up and running, with the Earls Brewery soon to follow. A central bar welcomes you with a line of taps as you enter the Earl of Essex, putting the beer at the forefront from the outset. Stylish wooden handpumps, wall art and a stripped back aesthetic show that as much thought has gone into the décor as the beer list. The large garden to the rear is a real selling point for the pub, with plenty of bench and table seating for those weekend sessions and warmer nights. Predominantly, a young professional crowd flocks to this pub, and thus the atmosphere is laid back, aided by low lighting. Patient bar staff are happy to wait on you and advise as you work your way down the taps. As befits a quality brewpub the menu isn't just about the food, with full beer-matching on hand to help achieve the best possible pairing. You will find small plates like pork and pistachio terrine (£5.50) paired with Cotswold Wheat, as well as mains like spinach gnocchi, cherry tomatoes and butternut puree (£9.50) paired with Left Hand, Good JuJu from Colorado or a more local Camden Pale. There's a good mix of hearty pub classics such as fish and chips (£9.50) and Angus burger with hand cut fries (£10), as well as more refined choices such as tuna steak with new potatoes, green beans and olive tapenade (£10.50), and chicken ballotine with pea and red pepper risotto (£8). And the obligatory Sunday Roast is served from noon each week. Well priced (£6.50) sandwiches are also served – expect the likes of duck leg, rocket and aioli, pulled pork, and the good old fish finger sandwich. 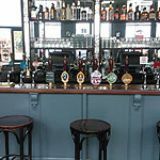 With over 13 beers on keg and five on cask this is a pub for the serious beer lover and an ideal destination to convert those who aren't. There's a strong London selection from the likes of Redemption, Camden, Crate and By The Horns as well as other UK offerings, whether it be Brewdog or the likes of Ilkley, Buxton and Orkney, which may be lesser known to some. There's a strong selection of US beers both in keg and bottle, with craft big boys Stone, Dogfish, Odell, and Brooklyn. You'll find amongst others a good selection from Left Hand, Clown Shoes and ever popular Scandinavian brews from Mikkeller and Nogne O. The names of both the brewers and their beers may be a mystery to some, but there's only one way to get familiar. Failing that, simply go for the beer of the day. A great addition to the N1 beer scene, the Earl of Essex is sure to be popular, and even more so once the Earls Brewery is in full swing.